Our Autonomic Nervous System is one of the body system that is totally underrated. The balance between sympathetic and parasympathetic activity is essential for health and peak performance. Listen to Johannes talk about the connection between your Autonomic Nervous System, the Organ-Mind-Brain Connection and ThermoBuzzer™ Mobile Thermography. 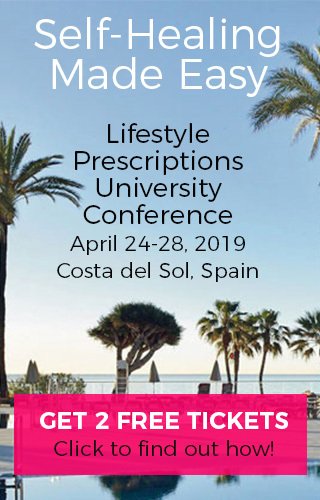 Learn more about Lifestyle Prescriptions® and ThermoBuzzer™. Watch this … Continue reading "[Video] ThermoBuzzer and the Autonomic Nervous System"
When I met Dean Ornish for the first time, he was honored at our foundation’s fundraising event together with Eckhart Tolle and Christiane Northrup MD for his achievements in medicine. 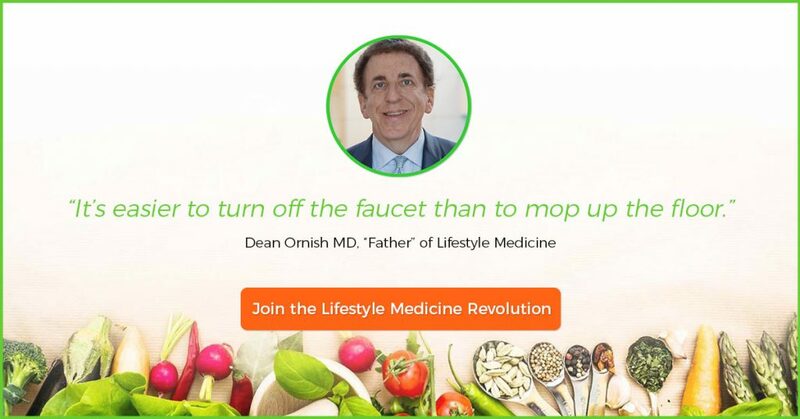 Around that time I remember receiving a letter from Clint Eastwood with a donation and a note reflecting how grateful he was for Dr. Ornish’s … Continue reading "Clinton, Eastwood and the Father of Lifestyle Medicine"
What are the 6 Root-Cause(s) Of All Illness? Yes. Yes. I get it. Our lifestyle including nutrition and fitness are very important and are the cornerstone of healthy living. 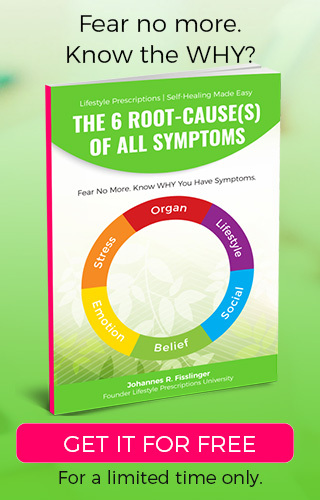 Over the last few decades there’s been plenty of research proving the fact that what and how we eat and exercise determines if we feel decreased energy, fatigue, brain fog and a host of … Continue reading "What are the 6 Root-Cause(s) Of All Illness?" Skin-Deep! Is there more to heart-felt emotions? Emotions. They can be pretty complicated, negative ones getting under your skin right? Oh, and what even is an emotion? To my mind, an emotion is a feeling connected to a thought which can be either pleasant or unpleasant. Feelings are felt in the body whereas thoughts originate in the mind. The two are intrinsically … Continue reading "Skin-Deep! Is there more to heart-felt emotions?" As a Lifestyle Prescriptions® Health Coach I frequently see clients who have muscular-skeletal pain. Most of us have direct experience of physical pain, and whilst it can create absolute agony, in this article my intention is to share with you a wider understanding of why it might be there, and explain how your pain may … Continue reading "Why pain can be a gift"
Can I ask you a few questions (actually your clients will ask you these questions again and again): Why do I still have a chronic skin rash (even if I eat healthy & exercise)? What’s really causing it? Why does the inflammation disappear, just to return a few weeks later? 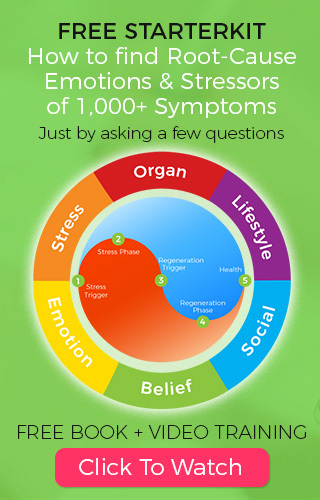 What specific stress or emotion or thought … Continue reading "[Free Webinar + Download] Find Root-Cause Emotions & Stressors of 1,000+ Symptoms Quickly"
Is it ILLEGAL to help people eating healthy? Over the last years many law suits have been filed by local states and regulatory agencies demanding health professionals an health coaching to stop advising their clients about nutrition because they don’t have the proper state licenses. Is it legal for health coaches to advice people about nutrition or healthy living? Is it a crime? … Continue reading "Is it ILLEGAL to help people eating healthy?" A new Harvard Medical School study shows a clear connection between our individual body temperature and our physiology and health. If our body temperature goes way beyond 37° C then we have fever and feel sick. But what hasn’t been paid attention to are the minor changes in body temperature we experience on a daily … Continue reading "Harvard Study connects body temperature with illness and mortality risk"
Do you remember times when clients told you about emotions, specific stress or traumas they’ve experienced and you just were’t sure how to deal with that? Because although you know stress and emotions do affect our health, how do you treat them specifically? And how can you connect these emotions, stress and traumas to symptoms? … Continue reading "Louise Hay on Steroids?"